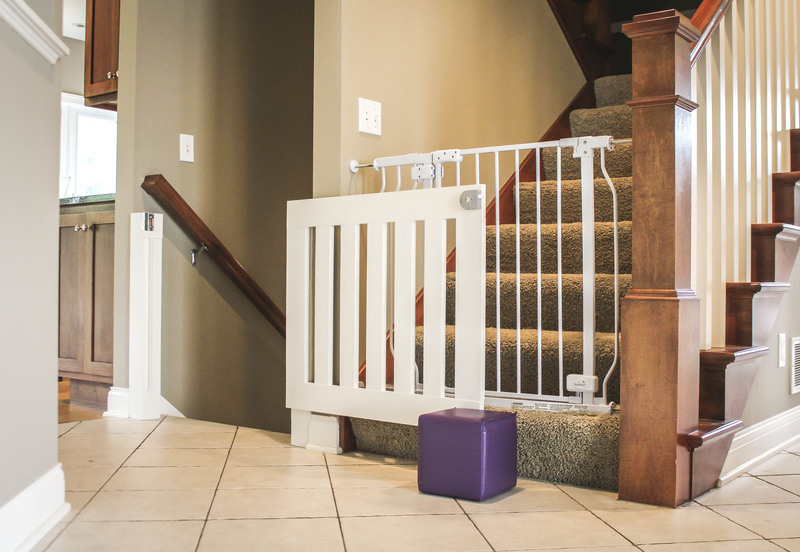 I have two boys, ages 1 and 3, so gates are a necessity in my house. 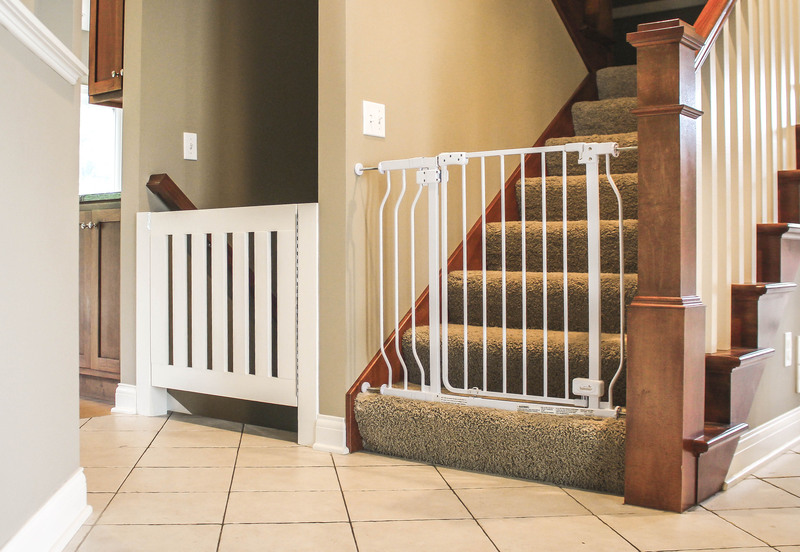 I think I would have wanted to build this gate even if I didn’t have kids, because the basement stairs are very steep and I get vertigo standing at the top. I felt like some invisible force was going to push me down just walking by them (I know I’m crazy). We also have cats, so I needed a way to let them pass freely. 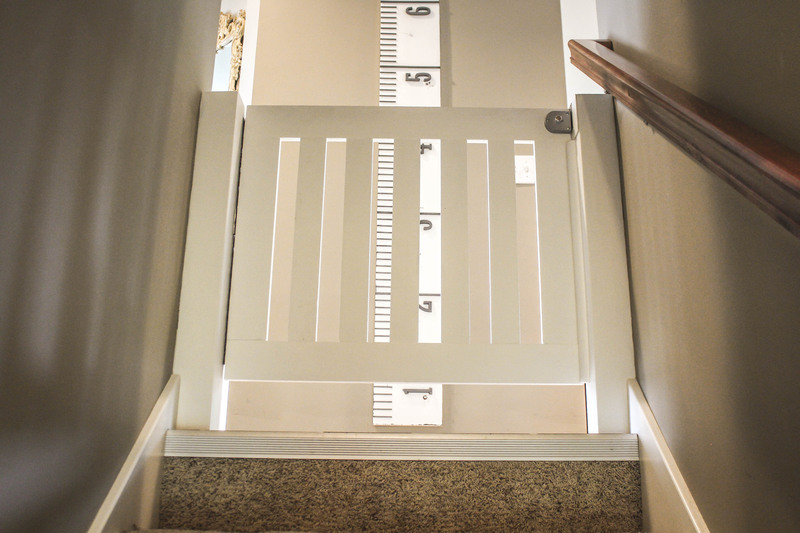 I found a wonderful company who makes custom safety gates, but after receiving a quote (wonderful customer service, too! ), decided it was too pricey for us. The stairway was too wide, so first I needed to install two posts. I found that most 4×4 posts were very rough, meant for outdoor uses with knots and stuff so that forced me to go with expensive but smooth redwood. I calculated all the dimensions in Adobe Illustrator. 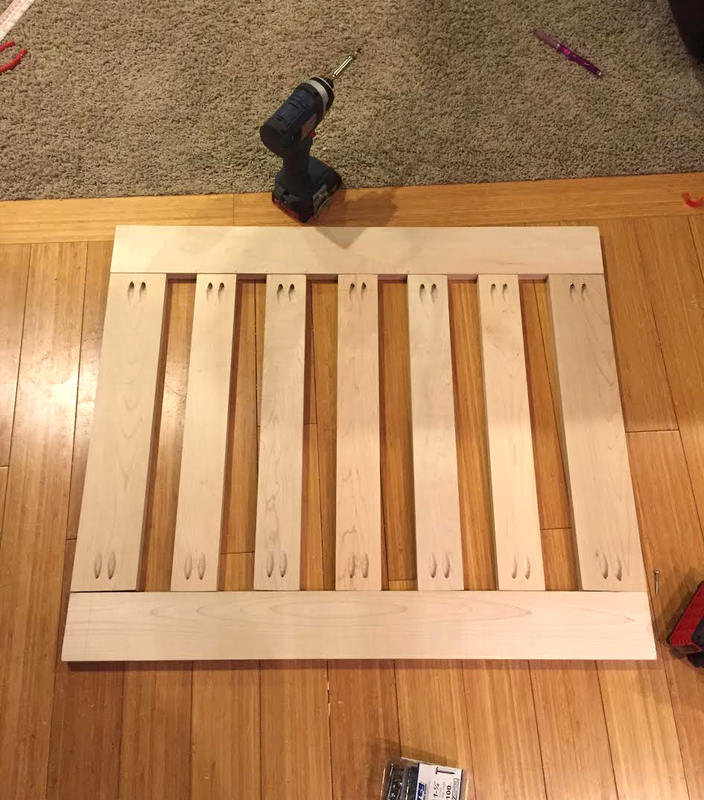 The gate was made with maple hardwood. 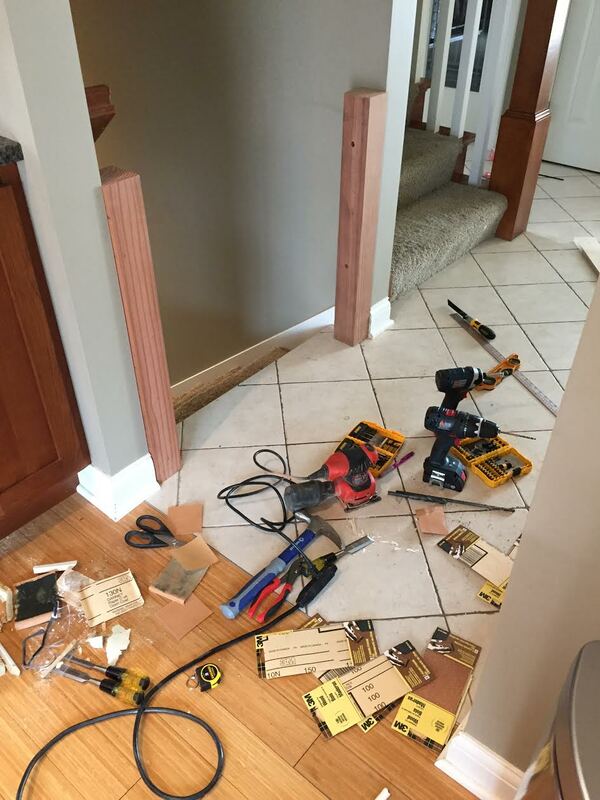 I purchased a Kreg Jig which allowed me to easily drill pocket holes for the joints. This was also my first project ever using a circular saw. ALWAYS USE EYE PROTECTION. I learned that the hard way. People. Eye Protection. It opens the full 180º! I used a piano hinge for the durability and it can open the full 180º! When we are carrying things up and down the stairs it is easy to prop it open. 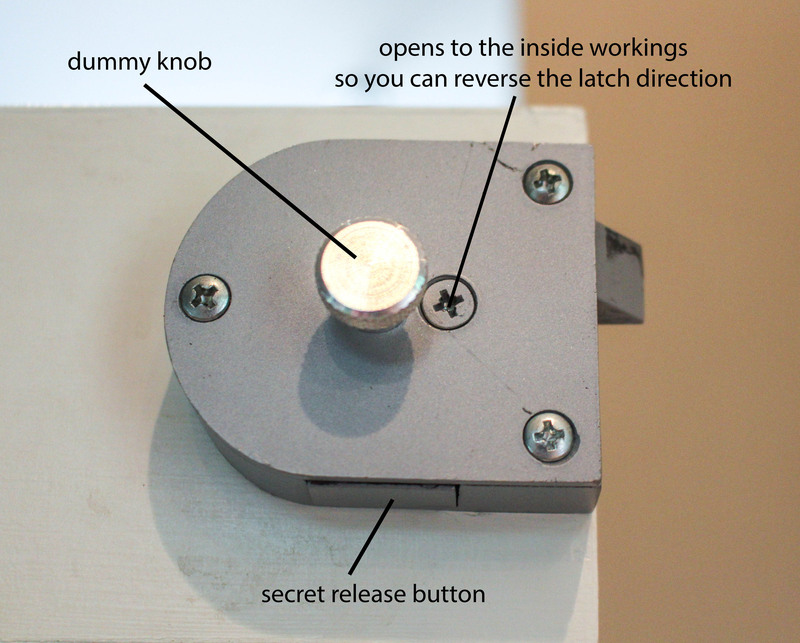 I had to sort of jerry-rig the latch/strike plate. My dimension calculations were a bit off, so I had to add an extra thin piece of wood. 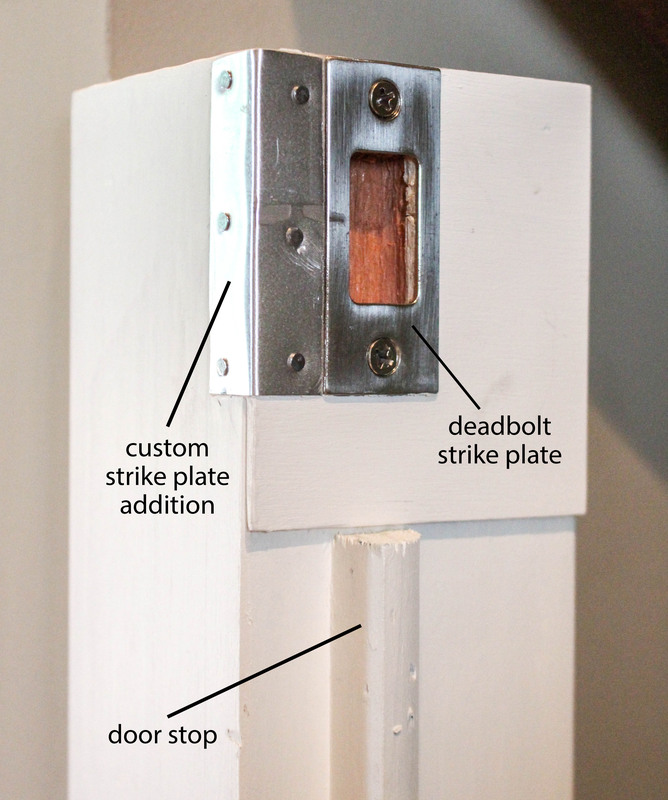 I bought a deadbolt strike plate and chiseled out a place for it. Then I cut a thin piece of metal with tin cutters, bent it, and nailed it into place to protect the wood and ensure it will be latching properly for a long time to come. 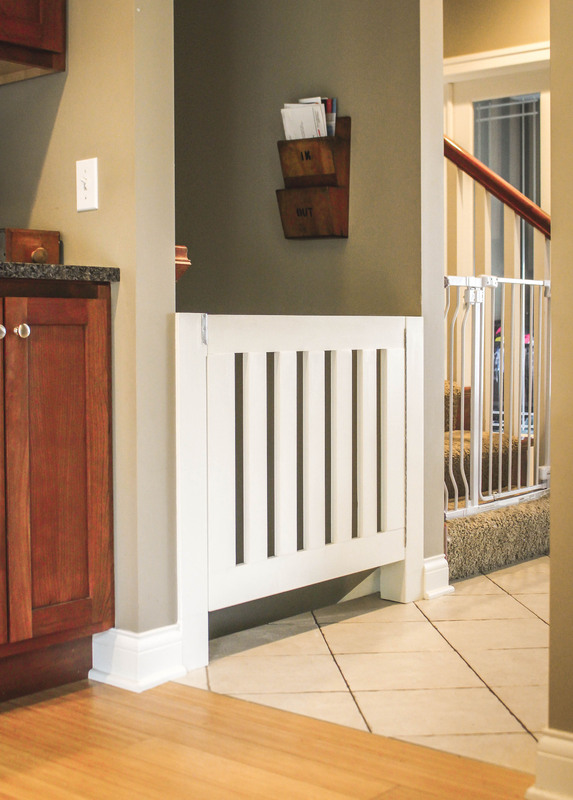 The door stop trim piece is also an important part to make sure the gate closes securely. Arguably the best part of this gate is the Knape & Vogt Secret Gate Latch. My hope is that it will be a long time before my kids figure out how it works. There is a dummy knob that does nothing but confuse the user. There is a secret release button on the bottom. After putting a little WD-40 in it, it works so smoothly.